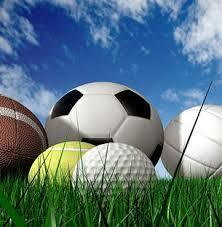 As springtime sports teams kick into gear, ScripHessco, providers of high quality chiropractic equipment and supplies, highlights the important role that chiropractic care plays in optimizing athletic performance. All athletes, including those in amateur leagues, school teams, and youth sports programs, reap the benefits of greater endurance, improved functionality, faster return-to-play, and avoidance of habit-forming painkillers. Professional sports organizations across the spectrum rely on the unique care that D.C.s deliver, and today many college and high school teams are including access to chiropractic care. ScripHessco, member of the Scrip Companies family, provides equipment and supplies to complementary and alternative medicine (CAM) professionals and offers the broadest selection of chiropractic products, including the largest variety of reconditioned adjusting tables in the world. ScripHessco offers exceptional customer service, promotes wellness initiatives and serves as an educational resource for the benefit of its customers and also is the only national company to offer regional sales representation. Visit www.scriphessco.com. The purpose of this course is to provide a foundation of appropriate mechanical spinal distraction and low level laser therapy, techniques based on current rationale. The scope is inclusive of approaches applicable to common conditions treated with modalities in the chiropractic clinic. This workshop/lecture course will also provide the participant with an overview of the effects of the modalities on specific conditions. Participants will have the opportunity to discuss treatment protocols and obtain practical experience in the implementation of the protocols. Describe the contraindications of therapeutic modalities. CEU accredited applied for in South Carolina, North Carolina, and Georgia. Certificates will be issued to eligible participants upon completion of the course. To register for the seminar, contact John Halsey – jhalsey@scripco.com. To download, or print, the seminar information in PDF format, click here. ScripHessco, providers of high quality chiropractic equipment and supplies, announces the success of two key chiropractic events in February. 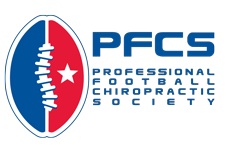 The Company served as the 2014-2015 title sponsor for the 8th Annual Professional Football Chiropractic Society’s (PFCS) Continuing Education Seminar. In addition, the two organizations collaborated during the NFL Scouting Combine in Indianapolis to launch a popular new networking event, Chiropractic Combine, which brought chiropractic students and doctors together to meet in a social setting to discuss trends in sports chiropractic, open chiropractic positions in sports and professional football, and available associate positions within the field. Join us at the Parker Seminars in Las Vegas – January 2014. If you are there stop by our booth 309 to hear about our new chiropractic supplies and equipment. The World’s LARGEST Chiropractic Seminar is Heading to Las Vegas! If there was ever a time to experience Parker Seminars, the world’s top chiropractic seminar series, that time is January 9-11 in Las Vegas, where practicing chiropractors, speakers, and coaches from around the world are meeting for our flagship event. It’s PARKER SEMINARS LAS VEGAS 2014, and it’s set to be our biggest, most extraordinary seminar yet!